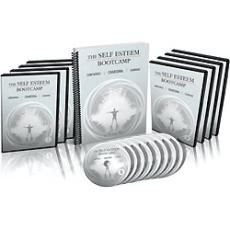 The Self Esteem Bootcamp is a program designed to help you eliminate your fears and develop confidence. It aims to get women to see you as a charismatic man and feel comfortable being around you. This course is excellent for both personnel and business achievement, recovering self-esteem, understanding the roots of causes exactly. A looked at many other self-esteem audiobooks but most successful for me is that one.